You are currently viewing Archived reports for the week of 23 October-29 October 2013. Sezione di Catania - Osservatorio Etneo reported that on 26 October Etna's New Southeast Crater (NSEC) produced a new episode of lava fountaining, six months after the previous paroxysm. 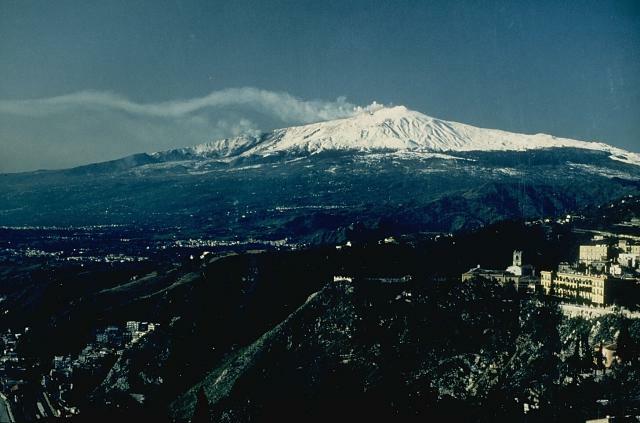 A gas plume laden with pyroclastic material rose several kilometers above the summit and drifted SW, affecting population centers as far as the Caltanissetta area. 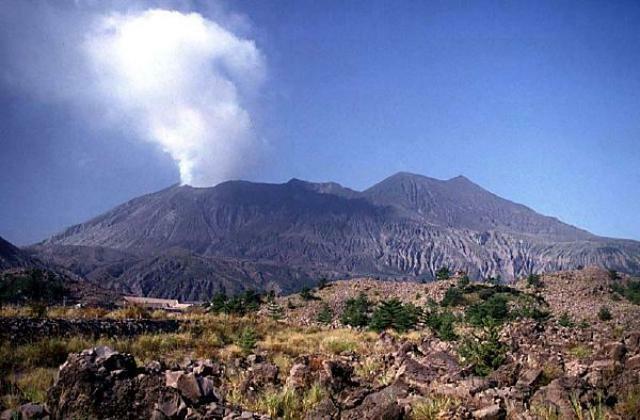 According to a news article a representative from Catania airport noted that the eruption caused the closure of nearby airspace before dawn through the early morning. 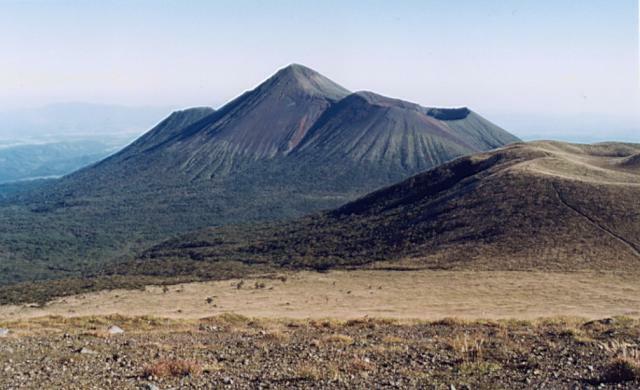 Lava emitted from the saddle between the two cones of the Southeast Crater advanced S, destroying two wooden shacks at Torre del Filosofo. Another smaller lava flow descended the SE flank of the NSEC cone, partially filling the deep collapse scar formed during the 27 April 2013 paroxysm. 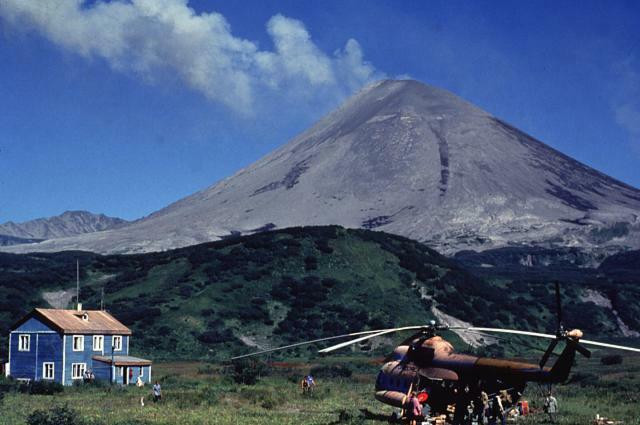 At 1019 vigorous ash emissions from the Northeast Crater formed a dark brown plume that rose 1 km; ash emissions from that crater continued through late evening. Lava fountaining from NSEC continued through the late morning and was then followed by a long series of powerful explosions audible to many tens of kilometers away. Strombolian explosions occurred in the late evening. Lava flows continued to advance the next day. 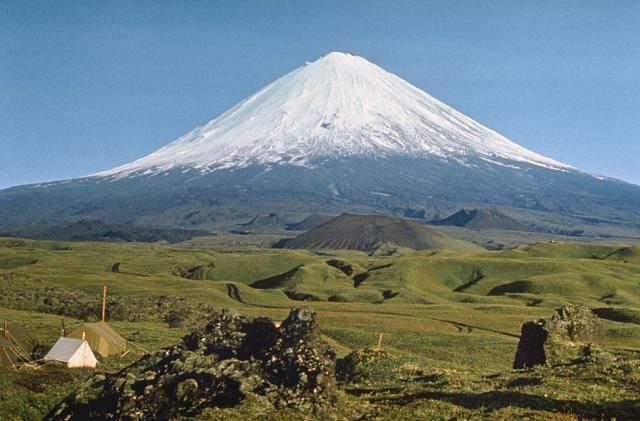 KVERT reported that at 0100 on 21 October a sharp decrease in seismicity was detected at Kliuchevskoi and only fumarolic activity was observed. The Aviation Color Code was lowered to Orange. Strombolian activity and the effusion of several lava flows continued through 25 October. Satellite images showed aerosol plumes over Canada during 20-23 October. 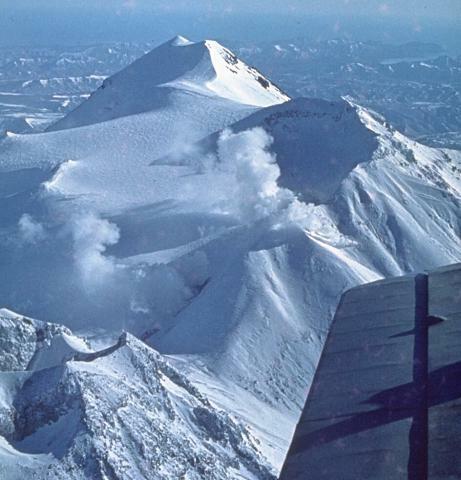 Based on visual observations and analyses of satellite data, KVERT reported that during 19-25 October a viscous lava flow effused onto the N and NE flanks of Shiveluch's lava dome, accompanied by hot avalanches, incandescence, ash explosions, and fumarolic activity. A thermal anomaly was detected daily in satellite images. 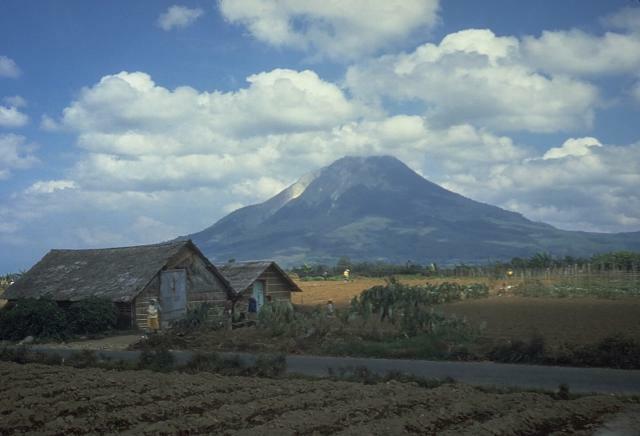 PVMBG reported that after 29 September, the day the Alert Level was lowered to 2 (on a scale of 1-4), seismicity at Sinabung declined but continued to fluctuate through 22 October. White plumes were seen rising 100-300 m from the crater. On 22 October plumes were also grayish and rose 250 m. Vents appeared on the N flank and produced dense white plumes that rose 70 m. On 23 October landslides at two locations were observed, and explosions occurred at 1619 and 1651. Plumes rose from the summit crater and from a fracture formed on 15 October near Lau Kawar. Fog prevented observations for a period after the explosions; once the fog cleared dense gray plumes were observed. A third explosion occurred at 2100. On 24 October an explosion at 0550 generated an ash plume that rose 3 km and caused ashfall in areas S. Another explosion was detected at 0612. 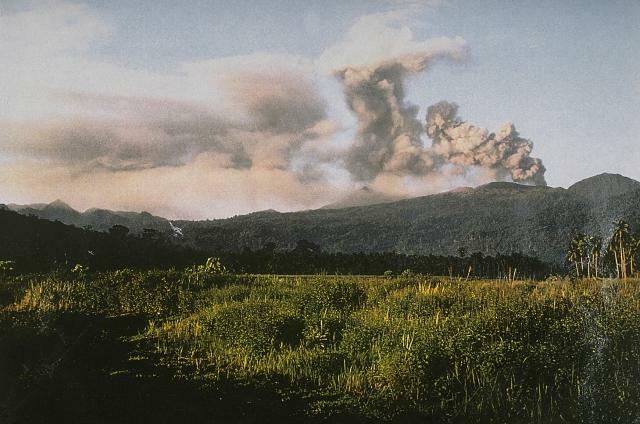 According to a news article about 3,300 people that evacuated their homes were mostly from two villages within 3 km of Sinabung, in the Karo district. 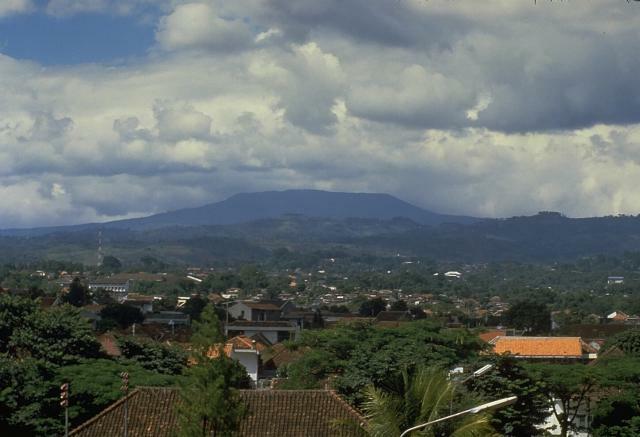 Based on information from the Indonesian Meteorological Office, the Darwin VAAC reported that an eruption at 1737 on 26 October generated an ash plume that rose to an altitude of 4.9 km (16,000 ft) a.s.l. At 0700 and 1200 on 27 October a webcam showed an ash plume rising to an altitude of 3.7 km (12,000 ft) a.s.l. and drifting over 35 km NE. 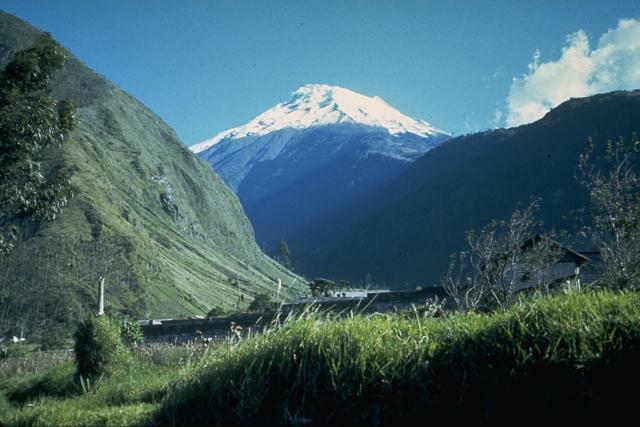 IG reported that activity at Tungurahua remained high during 23-27 October. Although cloud cover sometimes prevented visual observations of the crater, ash plumes were observed almost daily. During 23-24 October continuous ash emissions produced plumes that rose 3-4 km above the crater and drifted NNE and SW. Ashfall was reported in Penipe (15 km SW), Palitahua (S), Riobamba (30 km S), Tisaleo (29 km NW), El Manzano (8 km SW), and Choglontus (SW). 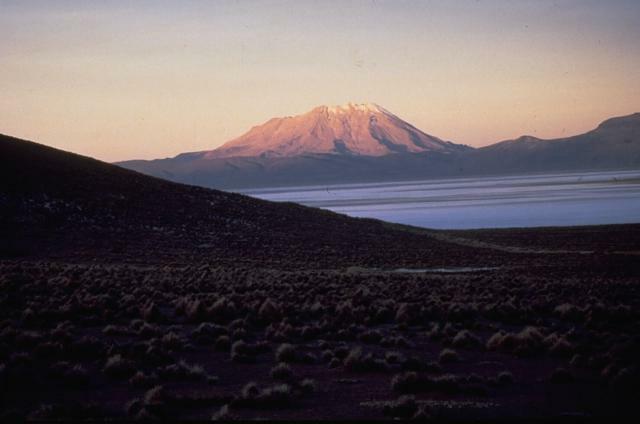 On 25 October blocks were observed rolling down the flanks, and ash fell in El Manzano and Choglontus. The next day continuous ash emissions rose 2 km and drifted SW. Ashfall was noted in Cevallos (23 km NW), Mocha (25 km WNW), Tisaleo, Penipe, El Manzano, and Cloglontus. Ash plumes rose 2 km and drifted W on 27 October. Low-energy gas-and-ash emissions drifted W and SW on 28 October. Ashfall was reported in Palitahua. On 29 October ash plumes rose 4 km and drifted E and NE. 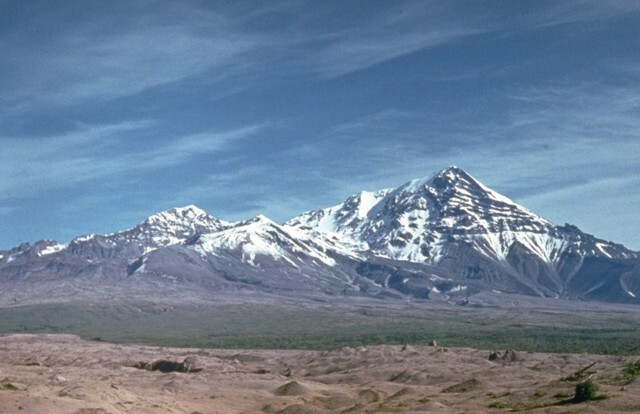 Ash fell in Penipe, Mocha, and El Manzano. Based on information from JMA, the Tokyo VAAC reported that during 24-29 October explosions from Sakura-jima generated plumes that rose to altitudes of 1.8-4.6 km (6,000-15,000 ft) a.s.l. Plumes rose vertically or drifted N, NW, S, and SE. On 29 October a pilot observed an ash plume drifting SE at an altitude of 2.1 km (7,000 ft) a.s.l. JMA reported that 11 explosions from Showa Crater ejected tephra as far as 1,800 m during 25-28 October. Explosions on 28 and 29 October generated ash plumes that rose to altitude of 3.2-3.5 km (10,500-11,500 ft) a.s.l. SVERT reported that during 21-25 October steam-and-gas emissions from Chirinkotan were detected in satellite images. A thermal anomaly was detected on 24 October. The Aviation Color Code remained at Yellow. Based on analyses of satellite imagery and wind data, the Darwin VAAC reported that on 23 October an ash plume from Dukono rose to an altitude of 2.7 km (9,000 ft) a.s.l. and drifted 150 km E.
KVERT reported that moderate seismic activity at Karymsky was detected during 18-25 October. 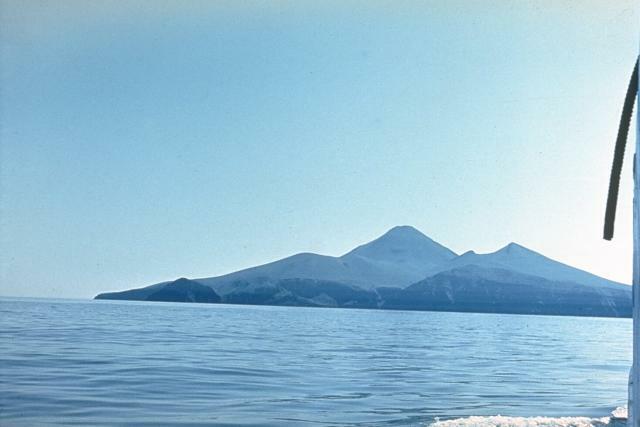 Satellite images detected a daily bright thermal anomaly on the volcano possibly indicating weak Vulcanian and Strombolian activity. Ash plumes drifted 170 km SE on 20 and 22 October. The Aviation Color Code remained at Orange. During 23-29 October HVO reported that the circulating lava lake occasionally rose and fell in the deep pit within Kilauea's Halema'uma'u Crater. The plume from the vent continued to deposit variable amounts of ash, spatter, and Pele's hair onto nearby areas. 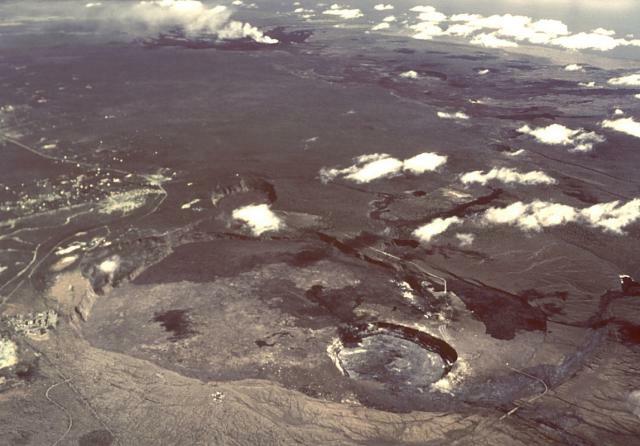 At Pu'u 'O'o Crater, glow emanated from spatter cones on the N and S portions of the crater floor. The 5.8-km-long Kahauale’a 2 lava flow, fed by the NE spatter cone, was active with scattered break-out flows and burned the forest N of Pu'u 'O'o. Peace Day activity, fed by lava tubes extending from Pu'u 'O'o, consisted of a possible minor breakout above the pali. 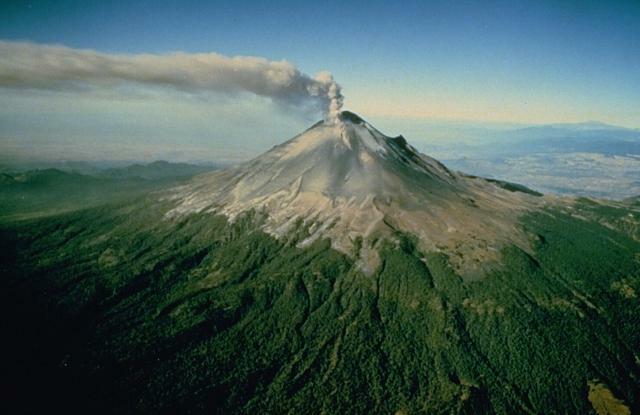 CENAPRED reported that during 23-25 October seismicity at Popocatépetl indicated continuing emissions of water vapor, gas, and occasional small amounts of ash; cloud cover sometimes prevented observations of the crater. On 24 October an explosion at 2111 produced an ash plume that rose 1 km and drifted SW. Eight low-intensity explosions on 26 October increased gas and steam emissions and produced slight amounts of ash. Incandescence from the crater was observed overnight during 26-27 October. 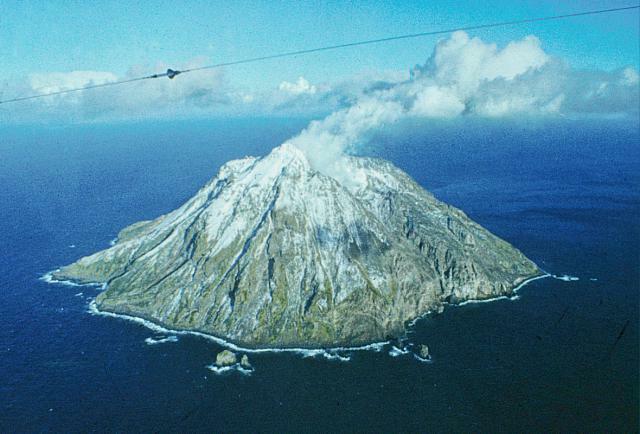 An explosion was detected on 27 October; cloud cover prevented visual observations. An ash plume rose 1 km and drifted W on 28 October. The Alert Level remained at to Yellow, Phase Two.